Last week we announced our brand-new Winter Carnival, which will heat up Bank of America Winter Village on January 30 and 31. We're adding new events every day, so here is an update on some of the activities that you can expect. Aside from the Summer Skate Night and Silent Disco, which are the capstone events for Friday the 30th and Saturday the 31st, respectively, we've got a ton of activities up our (coat) sleeves. Lots of the programming is focused on winter sports, so you know you'll stay warm with physical activity. 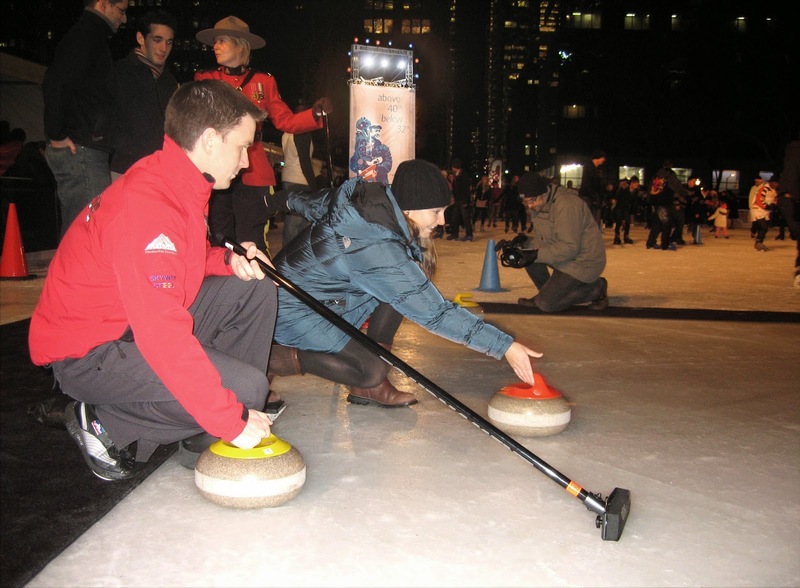 Learn curling, that Winter Olympics favorite, at our Curling Demonstrations from 2pm to 3:30pm on both days of the event. Practice your slapshot with our Hockey Shoot-Out, each day of Winter Carnival from 4pm to 6pm. Learn the oddball sport of Curling at Winter Carnival. We're bringing a bit of summer to January, too. Register now for our Frozen Fingers Doubles Ping Pong Tournament, scheduled for 3pm on Friday the 30th. The winning team receives two trophies, Bryant Park ping pong balls, and two FastPasses to the Rink. In addition, The Tables will be open from noon to 3pm on Friday and noon to 5pm on Saturday. Summer favorite, putting at The Green, is reprised as Ice Golf on the Rink! 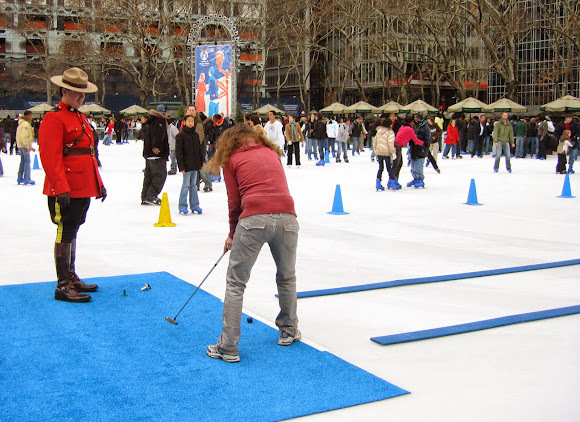 From noon to 1:30pm both days, try your hand at mini-golf on ice. Get a hole in one and we'll give you a FastPass! Try your hand at Ice Golf at Winter Carnival. We've got more tricks up our sleeves, so stay tuned as we announce more information about our very first Winter Carnival!